There are many published reports from reputable independent sources confirming the financial support Royal Dutch Shell/Deterding provided to the Nazis. The support was given in a variety of forms: money, oil on long term credit, food donations on a massive scale and revenues from Shell advertising in a Nazi newspaper. Extracts from relevant articles and books, some authored before WW2, are assembled here as a central reference source and provide compelling evidence of what transpired all those years ago. On 25 October 1942, The Los Angeles Times published a review of a book authored by reporter Marquis Child’s, entitled: “I WRITE FROM WASHINGTON”. Child’s is described in the review as “trying to be eminently fair” in his appraisal of public figures. During his research, he had discovered “startling facts”, some relating to Shell and Sir Henri. Who was Sir Henri Deterding and why did he invite a Nazi to his estate? Deterding was one of the wealthiest men in the world. 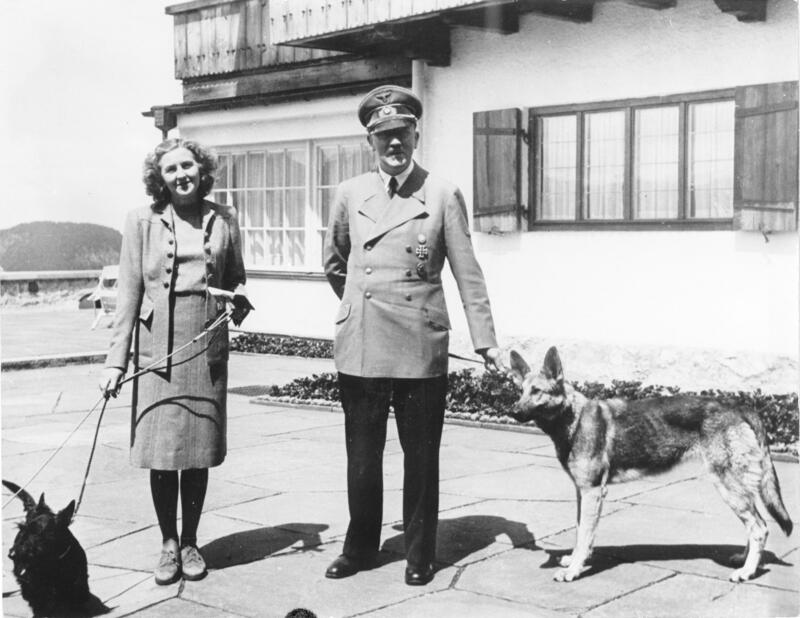 His clandestine meetings with Hitler’s representative gave little indication of the plots, intrigues, and secret transfers of money that were taking place between Deterding and Hitler. A Daily Telegraph reporter believed that Bell and Rosenberg met an international magnate in London and “big credits for the Nazis followed.” The Dutch press stated that Deterding sent to Hitler, through Georg Bell, about four million guilders. Some said Sir Henri gave the Nazis money in exchange for their agreement to give him preferred standing in the German oil market when they came to power. In 1931, it was reported that Deterding made a loan of £30 million to Hitler in return for a promise of a petroleum monopoly. Some claimed the loan was as much as £55 million. Louis Lochner, former foreign correspondent and authority on the relation between Hitler and big business, mentioned an alleged “ten million marks” contribution by the Dutch oil lord to the Nazis. With so many sources agreeing on the matter, there can be little doubt that Deterding financed Hitler. All that remains uncertain is the exact sum of money; nevertheless, one would not be injudicious to say it was substantial. Deterding had much to gain by financing the Nazis. 90Roberts, op. cit., p. 322. Other reputable sources have cited Deterding as a support of the Nazis. See: Walter Gorlitz and Herbert A. Quint, Adolf Hitler-eine Biographie (Stuttgart, 1952), p. 279; Hitler, Mein Kampf (New York, 1940) editors’ fn, p. 822; Carroll Quigley, Tragedy and Hope: A History of the World in our Time (New York, 1966), p. 514. But Deterding was impressed, and the Dutch press reported that, through the agent Georg Bell, he had placed at Hitler’s disposal, while the party was “still in long clothes,” no less than four million guilders. This huge subsidy came at a decisive moment in the history of the growing Nazi movement. Let there be no doubt that, had it not been found, the whole racket might have collapsed and the history of Germany and of Europe might have had a different complexion. The German writer Johannes Steel, who had had unique opportunities of studying from the inside the growth of the Nazi movement, its true aims and the sources of its financial and diplomatic backing, gave evidence, though his name was not used. Steel had worked as director of Germany’s Economic Intelligence Service, and knew all about the Nazis and their friends. He offered to explain to this body exactly where the Fascists who controlled Germany were getting money from in England; the man whose part he wished to reveal was Sir Henri Deterding. Sir Henri Deterding did not layoff the Nazis; he did not cease to praise their aims and achievements in public and in private, and he did not cease to assist them financially. The Nazi “bulwark against Bolshevism” had to be kept up; in 1931 reports were denied of a Deterding loan of £30,000,000 to be made in exchange for a petroleum monopoly. In the Presidential election of 1932, in which the two leading candidates were Adolf Hitler and Paul von Hindenburg, Deterding was accused, as Edgar Ansell Mowrer testifies in his Germany Puts the Clock Back, of putting up a large sum of money for the Nazis on the understanding that success would give him a more favored position in the German oil market. On other occasions, figures as high as £55,000,000 were mentioned. 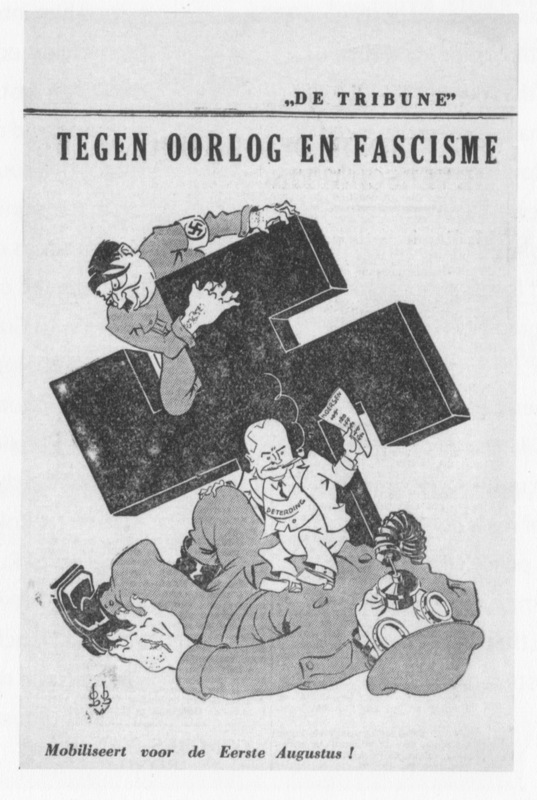 Shell funded adverts in a Nazi Newspaper, Volkischer Beobachter. Sir Henry Deterding was one of Hitler’s financial secrets. On many occasions, he made huge sums available to the German Führer. Only recently – in 1937 – he made a donation of 200 million francs to the Hitler’s government. Sir Henry was a passionate admirer of Hitler, with whom he had frequent interviews. His covert mission, in favour of the Reich, was to improve business relations with Britain, and was of great importance. It explains some of England’s complacency towards Hitler. The Fuhrer has not been ungrateful. On the death of Sir Henri Deterding he ordered expressions of sympathy. On his retirement as Director General of Royal Dutch Shell Group, Deterding was appointed as a non executive director of the Group. Funding for the Nazis continued in the form of huge donations of food by Sir Henri made while he was still a Shell director. 4. Extract from “PATENTS FOR HITLER” by Günter Reimann Copyright 1942 PRINTED IN GREAT BRITAIN BY RICHARD CLAY AND COMPANY, LTD., BUNGAY, SUFFOLK. Sir Henri knew that Germany was on the brink of starvation, that wages were low and nutrition lower; he knew that unless every good friend of the Nazi regime was prepared to help to prop it up, it would very soon collapse in the face the wrath of the working people of Germany and the administrative incompetence of its heads. Food was the crux of the problem. Germany had little, and much of what she had was of poor quality and frequently made of chemicals or substitutes. Holland, on the other hand, had a large surplus. Sir Henri had a grand idea. All Holland’s agricultural surplus, itself at times an economic problem, should go to Germany, into the hands of the German Government, which would be that much further away from bankruptcy and the sack. Who would pay for it? Why, he would. It was worth it. Sir Henri had always been prepared to payout real money to prevent Bolshevism from making another conquest in Europe. His initial contribution to this scheme was quoted as being $5,500,000. The Nazis were doubtless delighted to receive an initial delivery of the bacon of thirty thousand pigs; and soon much more followed. One report spoke of “millions of tons” of bacon. Seven thousand railway wagons were used in the first immense delivery. The grand gesture Deterding made after his retirement illustrates how he liked to use his money. In December 1936 he donated,with much fanfare, 10 million guilders from his personal fortune to set up a fund for buying up surplus foodstuffs in the Netherlands and selling them in Germany, purportedly to ease the plight of Dutch farmers and German consumers, equally hit by the trade barriers and exchange restrictions between the two countries. The proceeds of this deal would be donated to the Nazi charity Winterhilfswerk. Moreover, Deterding was widely reported as making rash promises to German officials. In June 1934, during the negotiations between the oil companies and the government over bulk installations, the British Ambassador to Germany, Sir Eric Phipps, heard information that Deterding had promised Hitler to have the Group supply one year’s worth of products on credit to Germany should its economic situation become desperate. No records corroborating Sir Eric’s information have been found in the company archives. However, Rosenberg noted in his diary that he had made a deal with Deterding in May 1934 that the Group would stock one million tons of oil products in underground tank farms built by the Group, only to see the transaction founder on red tape in German departments. Whether true or not, the story reached Deterding’s board colleagues, feeding a nagging suspicion about the soundness of his judgement. It is acknowledged in “A History of Royal Dutch Shell” (authored by historians paid by Shell) that “a great deal of public speculation went on about Deterding giving loans or donations, for amounts ranging from four million guilders to a fantastical £55 million, to the Nazi movement”. Spin is evident from the inclusion of the description “fantastical” in this statement. In attempting to discredit what is written off as mere “speculation”, great significance is attached to repeated claims on pages 481 to 485 that Deterding’s attempts to meet with Hitler were rebuffed. We can only surmise that research did not find a New York Times article published on 26 October 1934, which reported that Deterding was the guest of Hitler during a four day meeting at Berchtesgaden. Sir Henri and Hitler both had ambitions on Russian oil fields which no doubt would have been discussed during their summit meeting. The Deterding/Hitler summit meeting, in combination with the personal message sent by Hitler to the funeral of Sir Henri, provides an indication of the great importance that Hitler attached to Deterding and Royal Dutch Shell. 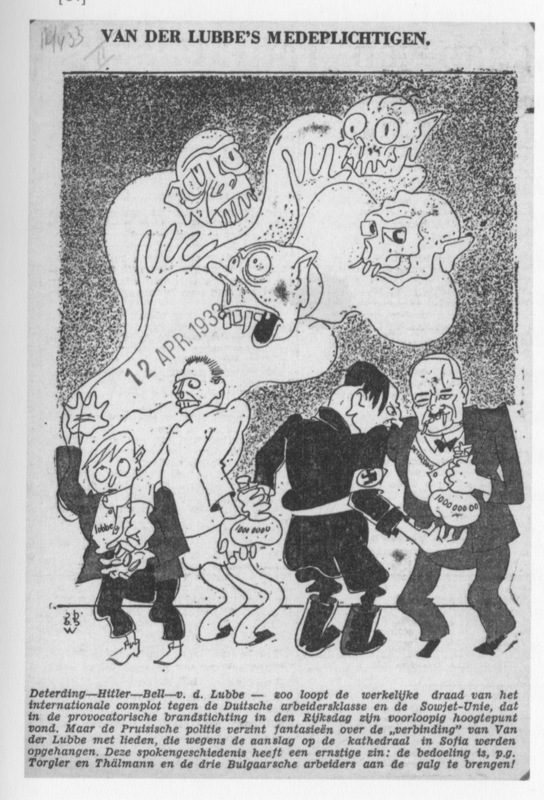 These events were entirely at variance with the picture painted in “A History of Royal Dutch Shell” of the Nazis repeatedly rebuffing overtures from Deterding for an audience with Hitler, with the Nazis determined to keep him firmly at arms length. First-The companies were to supply oil on credit for the first year. Second-The companies were to build a network of distributing stations along strategic motor roads, these buildings to be protected against air attacks. Third-The companies were to invest their money, frozen in Germany, locally. Shell did subsequently offer to supply oil to Germany on long term credit and did invest huge funds in its German subsidiary projects in Germany. 8. Extract from Page 478 A History of Royal Dutch Shell” Volume 1: From Challenger to Joint Industry Leader 1890 -1939 by Joost Jonker & Luiten van Zanden published in the UK in 2007 by Oxford University Press. 15. Extract from page 22 “PATENTS FOR HITLER” By Günter Reimann Copyright 1942 PRINTED IN GREAT BRITAIN BY RICHARD CLAY AND COMPANY, LTD., BUNGAY, SUFFOLK. 18. Extracts from pages 483 and 485 A History of Royal Dutch Shell” Volume 1: From Challenger to Joint Industry Leader 1890 -1939 by Joost Jonker & Luiten van Zanden published in the UK in 2007 by Oxford University Press. Royal Dutch Shell Nazis Secrets Part 7: Why does it still matter? Posted in: Adolf Hitler, Alfred Donovan, GoogleNews, John Donovan, Oil, Royal Dutch Shell Nazi Secrets, Royal Dutch Shell Plc, Shell, Shell Nazi Secrets, Sir Henri Deterding.